A teenage photography student discovers she can rewind time, sound like a good laugh? Interactive stories, or neo-point-and-clicks if you prefer, are having quite the renaissance, aren’t they? 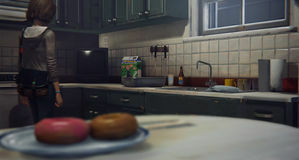 David Cage and Telltale have had more than their fair share of the pie already, now Square Enix are publishing them too. 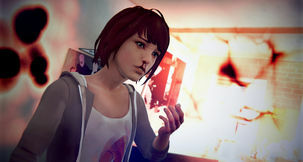 Life is Strange focuses on the life of a teenage girl at a prestigious arts college in the US who discovers she can rewind time. Stylistically, this really isn’t my thing at all (honest), but there’s something about it which sucked me right in. 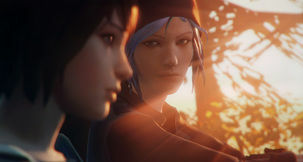 It’s kind of rare these days that a game keeps you wanting to press on all the way from start till finish, but Life is Strange had that magic little x-factor for me; in the first episode, at least. Although the writing won’t win any grand prizes for originality, it’s competent; in an indulgently cliché kind of way. The familiar disruptions of a modern American campus are the kind of thing we’ve seen a billion times in films and TV serials, and that kind of classic feeling of teen-strife is ever-present here. The introverted protagonist, Max, wanders throughout the world nervously remarking on the stereotypical student tropes which surround her - the spoilt rich girl, the jocks, the skater boys, the bully victim, and so on. 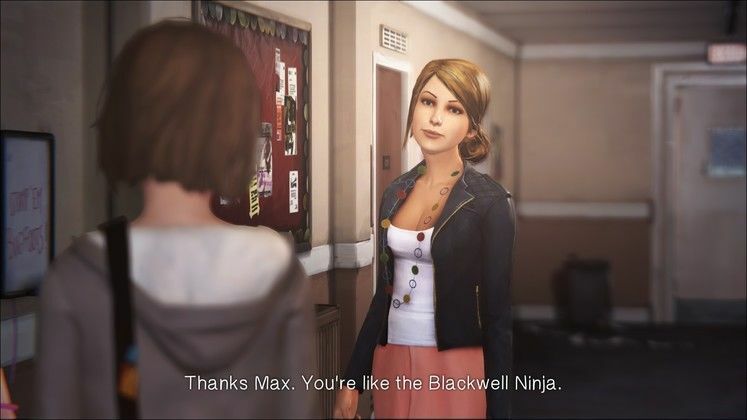 Max may not be the most original protagonist in the world, nevertheless there’s something undeniably charming about her even if she’s practically a cardboard cut-out from a US teen movie. You move through the world letting her personality wash over you, and because the game is so cleanly put together it’s a comfortable and relaxing experience. 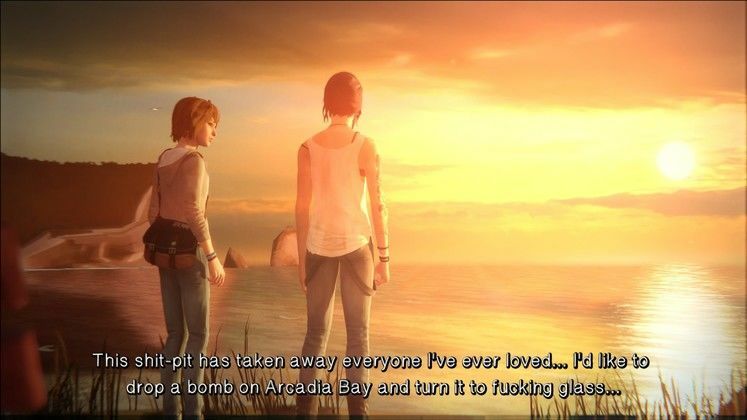 All things considered, I think she’s a fairly well-written female lead, and I’ll leave any further over-analysis of that and of the architectural structures in the game’s opening sequence to critics with an overactive imagination. 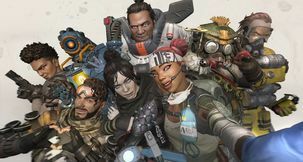 There’s a great deal of background which has been put into all the characters in this game, little memorabilia and tattered chunks of personality are dotted throughout the environments for you to optionally examine and learn more about them. Often when this kind of optional supporting paraphernalia is peppered throughout a game I tend to get bored of it and ignore it, but for some reason here I found it to be compelling and interesting. I don’t think that’s because it does anything new story-wise, but there’s just something free-flowing and relaxing about the whole experience which made it easy to become immersed in the role of the main character, a self-conscious photography student who can’t help sticking her nose in here and there. Like I said, the style isn’t my thing. Self-indulgent arty nonsense, constant twee indie music with emo-overtones, and teenage girls who seem to look and act more like they are 14 than 18… But it wasn’t so overbearing as to be offensive. It’s easy enough to submerge, take it on the chin, and just enjoy the story and the experience. 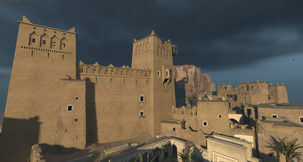 In addition, the fact that the game has time travel probably helps, who doesn’t like a bit of that? In terms of gameplay this is the only place where Life is Strange does anything remotely novel. At almost any point you can rewind time; undoing actions, unmaking dialog choices, and turning back the objects in the world to previous states. However, on doing so, Max still remembers information which she’s learnt, and keeps objects which she’s acquired. I’m shocked that point-and-clicks didn’t think of this earlier, it’s a really great dynamic for this type of game as it not only allows you to try out all the different dialog choices without having to save and reload, but it also makes for a cool puzzle solving dynamic whereby your ability to predict the future allows you to set-up things in the world in such a way that you obtain a desired result. The entirety of episode one took me about 2 hours to get through, I’d personally prefer these episodic adventure games to pack a little more punch than that but, to be fair, that’s pretty much the industry standard. There’s very little challenge to be had here, it’s a story-driven experience with interactive elements. The puzzles, which are few and far between, just involve a simplistic bit of time and object manipulation, combined with character interaction and dialog choices. There’s plenty of in-game reminders that various actions and decisions will have future consequences and that seems to be written fairly well into the game. How much meaning those different choices will ultimately have will only become clear in future instalments. 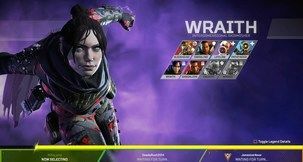 All in all, I think it does just enough interactivity to warrant being called a game, and that’s really all it needs to do. If you’re not keen on these types of story-driven whatsits, you already know it by now. I’m sort of embarrassed to say that I really like this game, but I tore through it in one sitting and felt better off for having done so; I feel like I need to load up an FPS and run around with the biggest gun I can find for a few hours to make up for it. 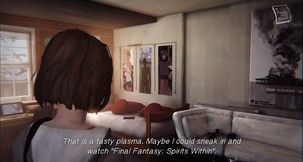 The reality is, Life is Strange is a really charming enjoyable experience with a great deal of character depth and an intriguing, if not entirely original, story. It’s not without its flaws, like I said, the girls seem to act and look younger than they supposedly are, and some of the lines seem rather forced and fake, but overall it’s woven well enough as to put together a fulfilling and enjoyable experience. I’m looking forward to the next part. 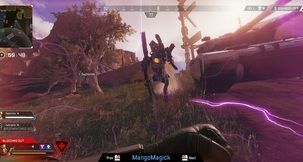 It’s got to be the time travel mechanic, what a great idea for this kind of game.